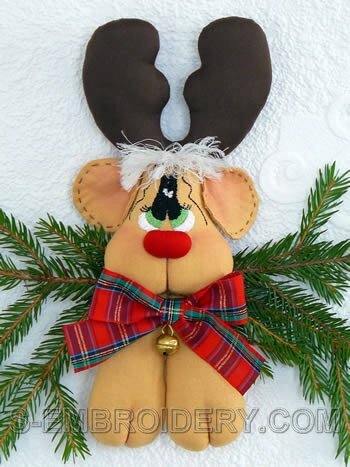 With this design you will create a cute little Rudolph the reindeer Christmas soft toy you can use in your Christmas decoration. The finished soft toy would be 23 cm (9 inches) tall. 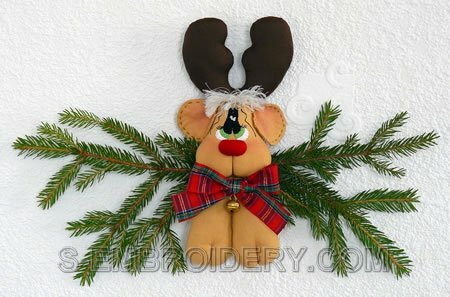 The set includes 4 machine embroidery files and PDF file with illustrated instructions. The largest design is 4.21 x 6.15 inches (107 x 156 mm) and the number of stitches varies from 100 to 2253. 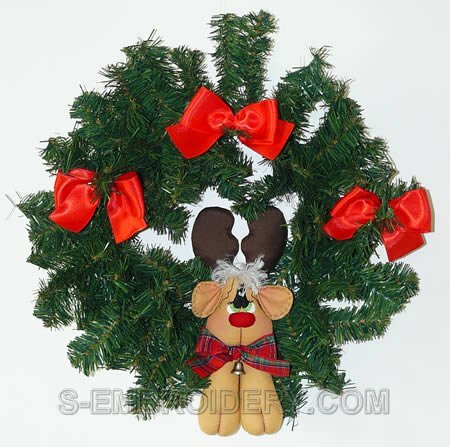 Note: For creating the soft toy Christmas decoration featured on our web site you will need some materials (fabric, ribbon, etc.) and basic manual stitching skills.